Baby Geekery is geeking out over our first exclusive MJ Baby Carriers, BAMM and BOOM! BAMM is the carrier in the avocado canvas, while BOOM is the carrier in the aqua canvas. We couldn't decide on which canvas we liked best with the print, so we had them made in both. This fun, colorful, geeky print was voted as a fan favorite on our chatter page. The print and color work well for all baby/toddlerwearers including tandem wearers and parents of multiples. These carriers are currently listed on pre-sell until Saturday, February 6th. 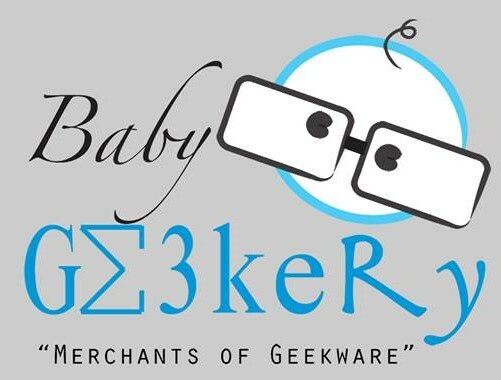 After that date, we will have them available to all on Baby Geekery's site. We have a limited amount of each color and size, so reserve yours now! It's really hard to keep things a secret when it comes to collaborating with the talented lady behind Bamberoo. Heads up! Baby Geekery has sent something to 01100101 01100100 01101001 01110100 (Edit). Can you guess what it could be? Hint, hint - there's a clue embedded in this message. Get your PP ready and stalk us on social media because you don't want to miss out on this special B'roo! tell us your favorite things? We're exploring new vendors and products and would love to bring in your favorite items. Perhaps something that helped you with parenting or simply an item that brought you joy. Whatever it may be, send us an email or message and tell us about your favorite product and why you love it. Bonus points if it also supports small business and made in the USA. The Baby Geekery family celebrates traditional New Year and Lunar New Year. According to Chinese astrology, this is the year of the Fire Monkey. Baby Geekery has something fun planned for the week of February 8th in celebration for the Lunar New Year. To find out what we have up our sleeves, keep in touch on Facebook, Instagram, and Twitter!